Dontcha just wish you had an eraser to wipe away fine lines, problem skin, and anything else that bugs you about your face? Wouldn’t that be the ideal product? A little swipe of my handy eraser and all my woes and troubles would be gone! Well..I don’t really have an eraser to do ALL of that but the next best thing would be nabbing yourself Tarte The Eraser Concealer and calling it a day! We’ve been on this adventure before haven’t we? Ahhh the concealer journey truly it’s grown to epic proportions and the Muse loves to gather concealers near and far and put them to the test to see how brave they are at concealing my under eye woes! 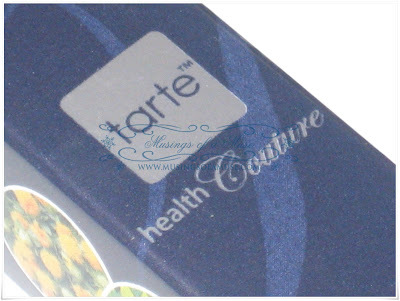 Tarte happens to be pass all my tests and gets a rather high score in the concealer department. 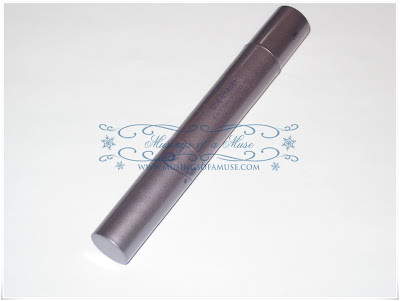 The Muse freaking loves click pen concealers and this happens to be packaged in a chubby little click pen which in my opinion makes a great travel companion, easily stores away, and just makes application a breeze. Although the product is not new it has released several new shades for the Spring Collection release so at the moment you can get this in up to 10 shades which is truly fantastic. 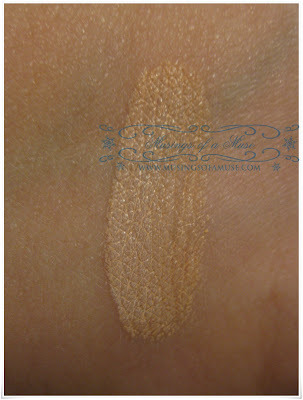 In particular they introduced porcelain which I was quite excited about as I had swatched Fair (the lightest shade available at the time) last season and it was a bit too dark for me but Porcelain is perfect! The formula is a creamy moisturizing silicon and water based formula that keeps skin hydrated while wearing long without creasing or caking. It also happens to be extremely “green” friendly for those who are conscious what goes into their cosmetics. My eyes seemed to like the formula very much and that’s saying alot considering that my eyes are super dry which causes creasing and caking drama. 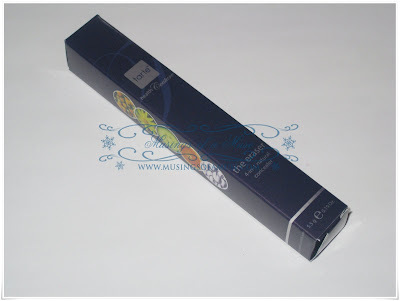 The formula is richly pigmented and fantastic for covering up puffy eyes, dark circles, and other woes and problems. 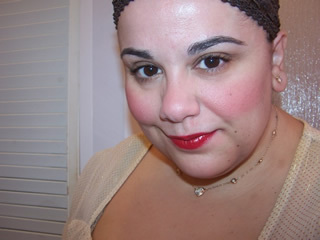 It did a great job of waking up my tired eyes just as a good concealer should. The coverage is buildable so one click will do both eyes perfectly well and maybe a second one if you’re really wanting to cover heavy duty problems. If you’re not feeling the need to shell out $40 USD for our beloved Dior Booster Pen or YSL Radiant Touch I think that at $19 USD this makes a pretty great substitute. 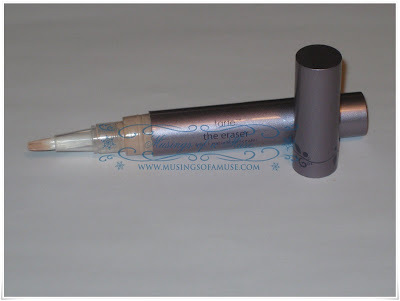 I don’t think the formula is as creamy as the Dior pen but it’s definitely in a class of greatness of it’s own! 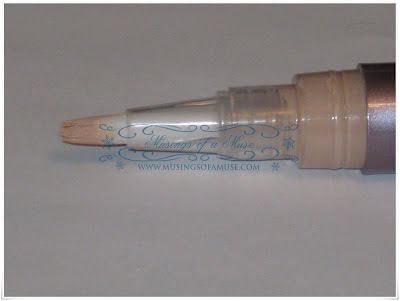 Anyone who likes click pen concealers for in a flash touch ups! Those who desire paraben free and good for you ingredients in their cosmetics! 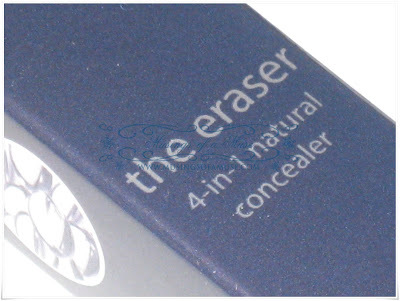 All in all I think Tarte Eraser Concealer is quite a good concealer and does exactly what it promises. The price is right, it conceals and wears long plus it’s easy to tote around with you! 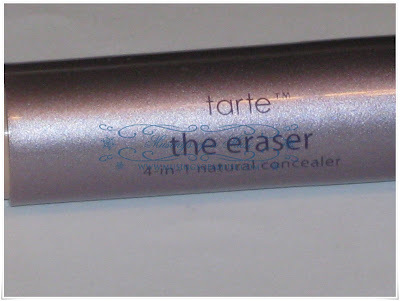 Anyone tried Tarte the Eraser?